22nd August 2013. David & Michelle are back from the Maralinga and Great Victoria Desert region and bring you some new trek notes & their blogs. We also bring news of improved page print functions. Read on for all the latest news. Receiving an ExplorOz newsletter is your opportunity to hear directly from David, Michelle and Adele with news we feel will help you understand how to get the most from our service to you. These 3 people are the lifeblood of the ExplorOz Team. David writes all the code that runs the site. He writes the software that controls the pages, the databases, the tools, the shop, the invoicing, the membership profiles etc. As Managing Director, he also takes charge of business operations and accounts. Michelle manages the words and pictures on the page - that means Trek Notes, Articles, Newsletter, Places, & Road Conditions content as well as our brand management, marketing materials, and our coordination & support of our great team of passionate and supportive volunteers who we could not do without! When David and Michelle are out travelling they are busy photographing, and recording GPS data to create new (or update existing) Places and they like to talk to travellers to find out what they really use, expect and need on their journeys. Being travellers ourselves, our perspective ensures that ExplorOz remains relevant for the times. But we can't do any of it without the support of Adele. Adele manages the office - she answers all the phone calls, responds to the emails, coordinates the selection of products for the shop and manages our warehouse operations. She also manages the Membership accounts, including Business Membership and Advertising bookings they make. With all this going on, its a very reactive, fast-paced environment! This means that big news can happen at any time. Our newsletters are a combined effort from all of us, so each week we have something new for you to discover that you would probably miss otherwise. We have over 70,000 registered site users - Visitors, Personal Members & Business Members, so the newsletter is our most effective method of communicating with you. Mostly, the newsletter contains a snippet of a longer article that you'll need to read online. We'll introduce the topic and provide you with a link in the newsletter, but it is expected that you'll follow those links to read the full story online. Often, these are instructional blogs or articles, that have been written purely to help you understand how to use a new feature we've built into the site. So with that said, here is our latest newsletter, which includes 2 new trek notes prepared by David & Michelle after their recent field trip. Next week, our newsletter will contain a few more trek notes that we couldn't get finished in time for this edition. Hope you enjoy it all! The "Maralinga Mystery Tour" was a group of ExplorOz Members, David & Michelle included, who have recently been touring through the Maralinga Tjuratja lands. The trip commenced on the 3rd August with 10 vehicles and 20 people. David & Michelle invite you to take this link to their blog index and read in order from Day 1 - Day 16. We suspect it won't be long until the other members add their blogs so keep an eye for these too. David & Michelle are now back in the office and intend to add extra photos from the 1570 they took on their main camera, but these are the actual journal notes submitted each day from location and will do for now! The dusty Old Eyre Highway is the original route used by the first vehicles crossing the vast Nullarbor plains in the days before the tar highway was put in. When the new road was built (circa 1976), trucks & tourists celebrated "no more bulldust" and the Old Eyre Highway was quickly forgotten. David & Michelle drove this route last week and published this new Trek Note only yesterday. Read Full Story Online: Old Eyre Highway Trek Note. (Free download of trek plot files and associated waypoints is provided for ExplorOz Members). Not a Member? Join here. This is another brand new Trek Note prepared by David & Michelle this week. The appeal of this trek is the ease of which four wheel drivers can visit the ghost town settlement of Cook on the Trans Australian Railway line, and along the way see caves, sinkholes, blowholes, bores, tanks and ruins. 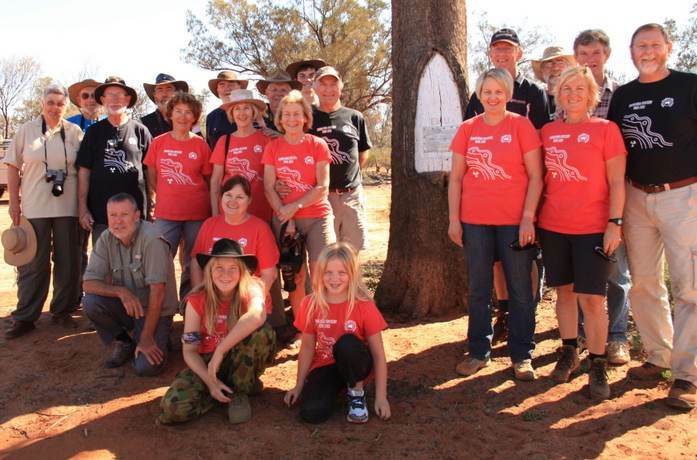 Read Full Story Online: Nullarbor Roadhouse to Cook Trek Note. Based on your feedback we've now upgraded the print function on all site pages. You'll find a huge range of content that is useful in hard copy, from Treks Notes and Places used for navigation, to creating a printed book from your Member Blogs and EOTrackMe to document your trip. So what's changed? Instead of replicating the page you see on screen, printing not only converts content into a "clean" format (without unnecessary borders and links), if there is tabbed content, it will convert this into one continuous page. We think this represents a great improvement over the old system, so please give it a try and let us know what you think! From cobblestone roads to food and wine hubs, Southern Tasmania is the perfect destination where every season is more scenic than the last. So, leave winter behind and explore the scenic landscapes, whisky master classes, wine tastings and historic sites this spring. With so much to explore in Hobart and beyond, leading travel website Wotif.com and Destination Southern Tasmania have teamed up to help give you a holiday to remember. Get ready to ride along the heritage track at Ida Bay, taste award winning whisky and wander through the vineyards. Whether you’re a history buff, adventure seeker, wine enthusiast or art admirer, there’s something for all palates. Book your Hobart & Beyond spring break from AU$99.